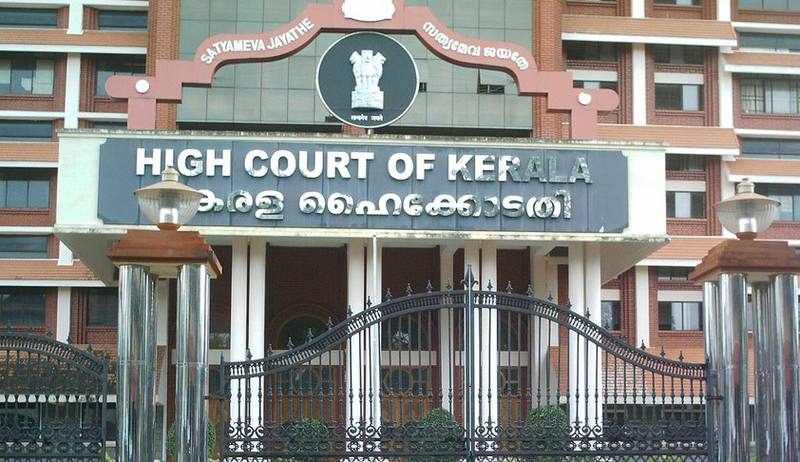 In a major relief to advocates, the High Court of Kerala has today stayed the operation of the ‘Certificate and Place of Practice (Verification) Rules, 2015’ framed by the Bar Council of India. Under the said Rules, all advocates except senior counsel and Supreme Court advocates-on-record (AOR), have to apply under the Rules within six months of 13 January 2015, before receiving their certificates of practice, which will be obligatory for practice. Additionally, the Rules stipulate that this certificate will have to be renewed every five years. The interim order staying the operation of the Rules was passed by Justice K. Vinod Chandran in a Writ Petition filed by an advocate from Trivandrum challenging the constitutionality and validity of the ‘Certificate and Place of Practice Rules, 2015’ (hereinafter referred to as “the Rules”). The Writ Petition settled by Senior Advocate K Ramakumar claims that the Rules impose unreasonable restrictions on the advocates to continue with their practice and that being so, the Rules are violative of Articles 14, 19 and 21 of the Constitution of India besides being wholly without jurisdiction. The petitioner avers in his petition that being duly enrolled with the Kerala Bar Council, he is entitled as of right to practice throughout India including in the Supreme Court and before Tribunals and other authorities and that the insistence on applying for and obtaining a certificate of practice as provided under the Rules is ultra vires the Advocates Act, 1961 and is “patently” violative of Articles 14, 19 and 21 of the Constitution of India inasmuch as “it prohibits an advocate who does not obtain such a certificate though he has been practicing for years together and is enrolled with the Bar Council suffering no disqualification whatsoever to stop his practice altogether”. The petitioner therefore claims that the Rules are liable to be declared as unconstitutional, void and inoperative. The petitioner has raised a ground that Section 7 of the Advocates Act (hereinafter referred to as “the Act’) which prescribes the functions of the Bar Council of India does not include the power to insist on a certificate of practice to be required to be obtained from existing legal practitioners who are already on the rolls of the State Bar Councils and are entitled to practice as advocates as defined in Section 2(1)(a) of the Act in all parts of India. Since Section 7 does not provide specifically for fettering the rights of legal practitioners enrolled to the Bar council of India, it cannot insist on such a certificate as the functions of the Bar Council as delineated under Section 7 does not empower it to either insist on such a certificate or collect fee for it, contends the petitioner. The petitioner also contends that Section 49, to which the power to issue such Rules has been traced, only provides for power to issue general principles for the guidance of the State Bar Councils and the manner in which the directions issued by the Bar council of India may be enforced, and that rule making power under Section 49 does not exist in the statute book and the Rules impugned are therefore ultra vires the Advocates Act and beyond the powers of the Bar Council of India. The petitioner has also advanced the contention that Rule 5 of the Rules which prohibits advocates practicing without a valid and verified Certificate of Practice issued under the Rules amounts to forbidding legal practice to an enrolled advocate which is totally beyond the powers of the Bar Council of India and that it cannot impose disabilities in the legal practice of advocates duly enrolled on the rolls of State Bar Councils. The petitioner says that no such power is traceable either under the Advocates Act or the Rules framed thereunder. The petitioner also contends that the impugned Rules are violative of Article 19 of the Constitution which guarantees the Fundamental Right to practice as a lawyer which is forbidden under Rule 5 in the absence of a Certificate of Practice which is now imposing a new condition and amounts to fettering that practice. The petitioner has also taken a ground that the Rules are violative of Article 22 of the Constitution as it would deprive the advocates from offering legal service to detenus to avail of which is their constitutional right. The petitioner has also attacked the levy of the fee by the Bar Council of India and says that a fee must be supported by quid pro quo, but in the instant case, the fee collected will not be used for the advocates who subscribe the fee. The petitioner, for all these and other grounds, has therefore sought a declaration of law from the High Court of Kerala that the ‘Certificate and Place of Practice Rules, 2015’ framed by the Bar Council is ultra vires, unconstitutional, and liable to be declared as void, inoperative and unenforceable as violative of Articles 14, 19, 21 and 22 of the Constitution. The Bar Council of India, in the statement of objects to the Rules, inter alia says it was compelled to introduce these Rules as “sadly, this profession has fallen under a cloud” and that the bar was “subject to manipulation and influence from extraneous powers”. It had noted that the “trend of advocates switching over to other pfoessions/services/business without any information to the State Bar Council has reached alarming proportions”, and was “endangering the legal profession as a whole” and “made a dent in its sanctity and standards”. Given the stakes involved, the outcome of the writ petition and further proceedings therein is expected to be keenly watched by the members of the legal fraternity.